NetSuite CRM+ is a completely cloud-based solution, saving you overhead on the cost of on-premise solutions. Additionally, it ensures that NetSuite CRM+ is available to you and your employees anytime, anywhere. The SuiteCloud platform allows you to customize CRM+ with partner integrations through SuiteApp. Over 16,000 midsized and high-growth companies, as well as divisions of large enterprises, use NetSuite to run their business. 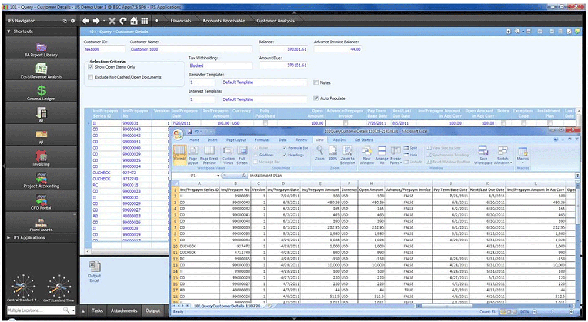 NetSuite’s CRM software is also applicable to any industry type. Their customers range from insurance providers to retail restaurant chains to online retailers, demonstrating the flexibility of their solution. 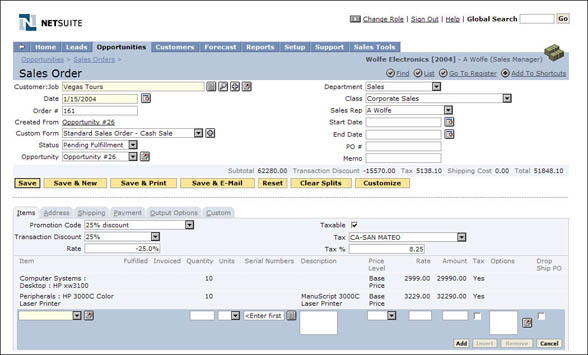 NetSuite CRM+ can also integrate with a company’s existing ERP solution, ensuring that users don’t need to jump through a ton of hoops to weave this CRM system into existing business processes. If users don’t currently have an ERP solution, companies can gradually expand into the broader suite of products by adding NetSuite’s integrated ERP, professional services automation (PSA), ecommerce, or global business management options when businesses actually needs it. NetSuite was founded in 1998 and has its headquarters in San Mateo, CA — right in the heart of Silicon Valley. Its nine offices span the globe, with locations in Europe, Canada, Australia, and Asia. Gartner named NetSuite one of the top 10 the fastest growing financial management solution, and they’ve received four CODiE Awards from the Software and Information Industry Association in the past two years. 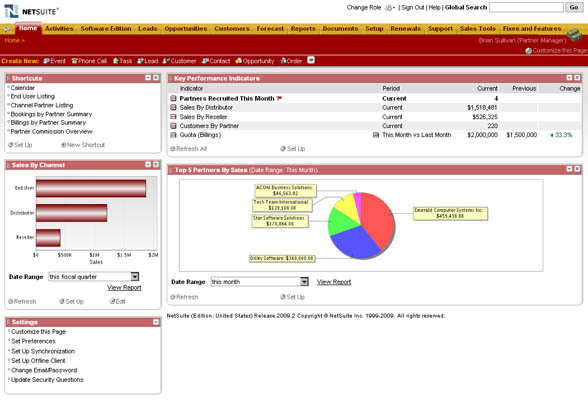 NetSuite CRM+ won that award in 2010 for the Best Relationship Management System. Though NetSuite’s focus has generally been on small to mid-sized businesses, they stopped selling to smaller customers in August 2011. Now their focus is on mid-sized businesses and enterprises. 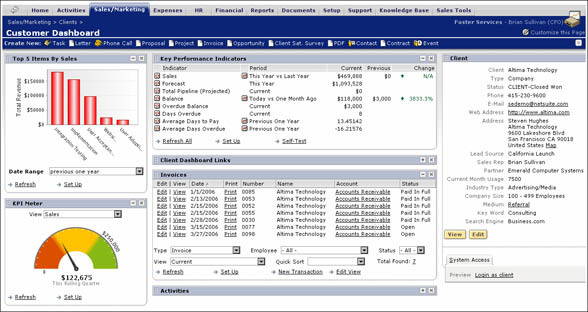 The company’s full suite of software offerings also includes NetSuite ERP, NetSuite OneWorld and NetSuite OpenAir. Build an online knowledge bas. All-around solution that covers every business process. Complete and detailed views of customer data. Users are generally unhappy with NetSuite’s support. No real functionality in iPhone app. $10K/year minimum to subscribe to the solution. One of NetSuite’s greatest strengths is offering an all-in-one solution for all your CRM needs. Their features list is extensive, and the fact that it’s a cloud-based solution makes it all the more appealing to companies that don’t want to deal with the cost and hassle of maintaining an on-premise system. Additionally, their reporting and customer data tools offer a complete view of all customer information, improving productivity for customer service. The company has had something of a varied past with its customers, however. There have been a considerable number of complaints regarding bad customer service from NetSuite, as well as functionality that was advertised, but not actually included in the solution. In the past couple of years, complaints have dropped off, so perhaps their support has improved, especially since they’re switching their focus away from SMBs to enterprises, which seems to be the norm. We did mention the NetSuite iPhone app in the cons, but only because they list it as a feature/benefit of their CRM solution on their website. Judging from user reviews, however, the app has little to no functionality. It does allow for viewing information and reports, but no editing capabilities, which means you can’t actually do anything with the app except look at data. If that’s all you want from an app, you’re in luck; however most smartphone users generally expect that they can actually do more with apps that are supposed to integrate with other services. NetSuite CRM+ includes all the foundations of CRM - Salesforce Automation, Marketing Automation, and Customer Support Service - while also providing your reps with a real-time view of all customer transaction, service issues, inventory, order status, and commissions. 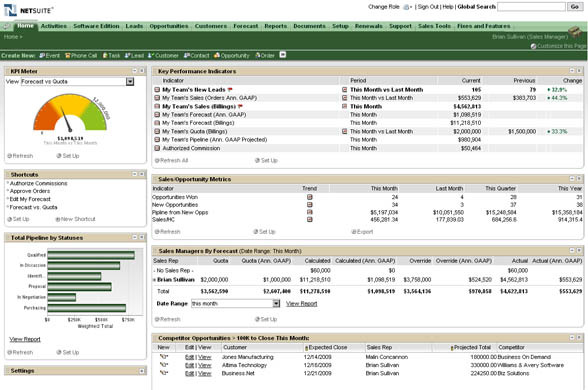 This demo allows you to view how NetSuite CRM+ can support a variety of roles in your organization. Customer Relationship Management (CRM) just isn’t what it used to be. Conceived as automated tools to help sales personnel maintain records of contacts, sales-related activities, and individual and team's progress toward goals and quotas, today's scope has become much more far reaching. Sales benchmarking represents a source of sustained competitive advantage for corporations today. The second largest cost item on a company's financial statement is SG&A expense which typically represents 30%-40% of revenue.